Why organizations should use it? To maintain an orderly and efficient material flow along the whole manufacturing process, part of just-in-time system. How organizations should use it? By having the subsequent process (defining rate of demand) go to the preceding supply chain processes (defining rate of production) to retrieve the necessary parts when and in the amount needed. What is it for? 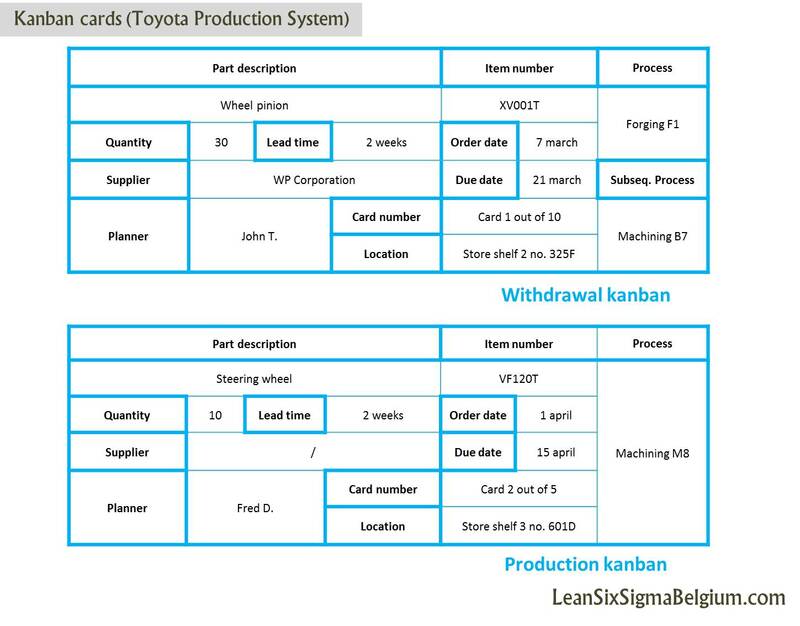 Product control cards upon which product-related information (product’s name, code, storage location) are entered: production kanban & withdrawal kanban.